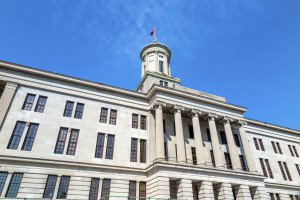 Legislative Roundup: Collision repair bills to be heard in Tenn., Minn.
Two bills of note to collision repairers were scheduled to be heard by legislative committees in Tennessee and Minnesota Wednesday. One is likely to inspire outrage from the industry, the other support. The Tennessee bill allows non-original equipment parts to be installed in new cars after a crash, but the Minnesota bill would ban even more auto insurer practices with regards to the collision claim process. Minnesota law already requires that insurers let customers use whatever shop they want after a crash, but SF 135 would expand customers’ discretion even further. The Alliance of Automotive Service Providers-Minnesota helped develop the bill. The Senate Commerce Committee was scheduled to hear the bill at noon in Room 112. Repairer Driven News wrote about the bill back in January. Read more analysis here. House Bill 110, which has companion Senate Bill 65, was to be heard at a noon meeting of the House Insurance and Banking Subcommittee. HB 110 writes some of the state Commerce Department’s policies into law and discard others. It drops the state Commerce Department’s ban on non-original equipment manufacturer “crash parts” for the current and prior model years and the agency’s requirement an insurer tell a claimant they’re using the parts. However, it keeps the mandate that an aftermarket brand or logo exist on the part and be visible “whenever practicable.” It also continues to include notification, in 10-point or larger letters, of which non-OEM parts were used in a repair. That seems like kind of a raw deal for consumers — your car is less than two years old, and you’re already getting non-OEM parts? The legislative Fiscal Review Committee makes a few interesting analyses about the bill that collision repairers might want to contest. The first one is controversial for obvious reasons. The second, particularly when placed next to the common-sense third hypothesis, begs the question of why anyone other than the part manufacturer would be expected to do anything with the labeling, unless an insurer or customer opts for unlabeled parts and expects the shop to slap decals on everything. Be heard: Tennessee legislator contact information can be found here.